We first met Mark 28 years ago, and have been fortunate enough to develop a long-term relationship with him, not only professionally but personally as well. He trusts our team so much, in fact, that he also has referred his friends and family to us! We have helped Mark refinance his home loans many times over the years, and he has always put his trust in us and knows that we look out for our clients’ best interests at all times. 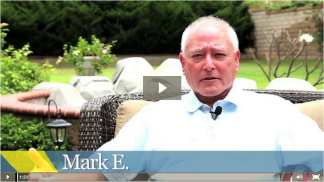 Mark feels that one of the qualities that sets Inspira Group apart from the rest in the industry is the fact that we are always customer-centric: we always customize each client’s scenario based on their unique circumstances, wants, and needs. He also describes us as top-notch, professional, knowledgeable, efficient, and trustworthy. Your high praise is very much appreciated and we feel honored to have been able to work with you throughout the years, Mark! If you need help refinancing a home, or would like to start your own home buying journey, set up a no-obligation consultation with our team today.